I wanted to share a sample that shows the wonderful quality of the press printed books that I offer for my customers. 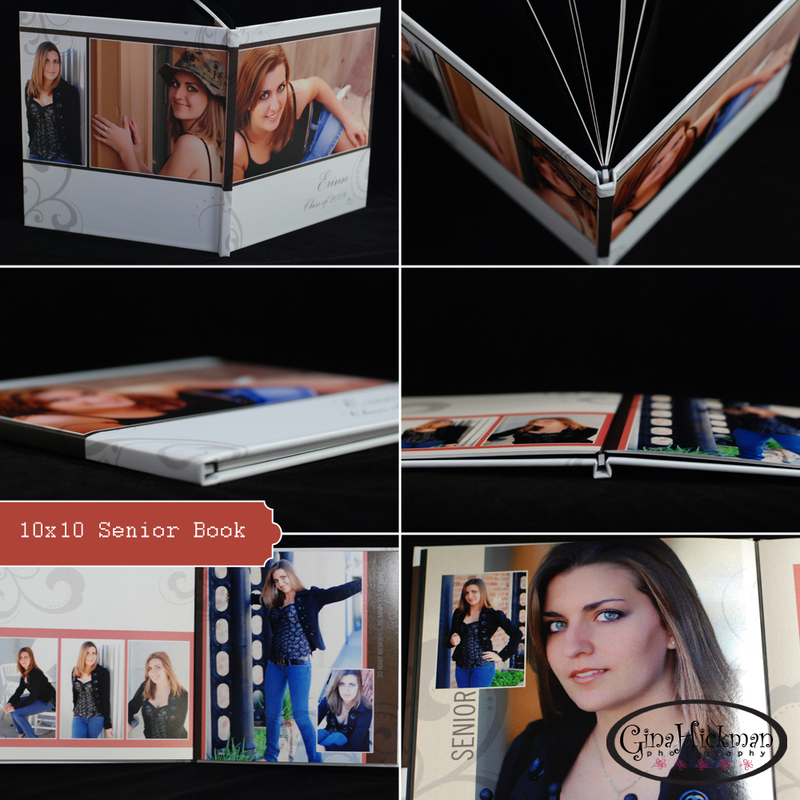 This sample is a hard-back coffee table style book that is 10x10. The pages are hinged so it lays flat when open. The standard book has 20 pages but you can have up to 50. You can generally include from 25-50 images from your session, depending on the design and layout we decide upon. You can choose from a Custom Photo Cover like pictured here, or you can select your favorite cover material from over 30 leathers, suedes and fabrics. The leather covers can have a 3 line inscription engraved in gold or silver. The pages of this sample book are a pearl finish and it has a nice sparkle to it. You can use these for High School Senior sessions, Engagement/Reception books, Boudoir sessions, Family sessions, Baby's 1st Year, or any Children's session. This is an heirloom quality keepsake that will be treasured and enjoyed for generations to come! You really need to see these in person to appreciate the details!